Welcome to Spring Towing & Recovery where we specialize in heavy duty towing, decking and undecking, winch outs, jack knife assistance, off road recovery, roadside assistance, bunking and unbunking and 24 hour towing in Spring, TX. If you are seeking a reliable and professional tow truck company, you’ve come to the right place. Our motto is, ‘We will never leave you stranded’. That is certainly true as we have come to the rescue plenty of customers stranded beyond our predetermined service radius. We stand true to our word of accurate and prompt ETAs. We are unlike our competitors that will promise unrealistic estimated times of arrivals to secure your business. If we cannot service your needs within 15 to 45 minutes, we will give you an opportunity to seek professional towing elsewhere. We have been providing towing services to Spring city residents for over 20 years. It brings us joy knowing that we have contributed a much needed service to our community. Our founder is very clear on operating an ethically responsible business. In any industry, you will find bad apples. When you choose to roll with Spring Towing & Recovery, you are guaranteed below market value prices, compassionate emergency assistance and superior customer service. Our tow operators are uniformed, courteous and beyond experienced. You will be impressed with their swiftness and industry knowledge. When you ride in the cab with the driver, you will not have to move empty cans, fast food containers and dirty rags out of the seat. Our trucks are maintained in immaculate condition. In an effort to grow and garner respect in this business, it is imperative that profits are reinvested in training, equipment, infrastructure, tools and software. From our clean and convenient waiting area to the superior quality of our trucks you will perceive excellence in every detail. We offer a myriad of commercial and non commercial services. Our trucks are equipped with winch outs and towing for vehicles made for land and sea. Your safety is our utmost concern. You will detect our compassionate brand of customer service from the moment the dispatcher answers the call. She is trained in emergency best practices. If she detects danger or anxiety, she is prepared to stay on the line with you until help arrives. These days, it is difficult to find an all around service provider. Professionals are so specialized that they are barely proficient beyond their level of expertise. At Spring Towing & Recovery, we can boast that our tow operators are multi talented. Each one has a minimum of five years experience in the field. On average, our team of 20 drivers possesses ten years in the industry. We are a company you can rely on and trust. No vehicle is off limits for Spring Towing & Recovery. Our tow operators are versed in towing high speed boats, yachts, classic motorcycles and trendy scooters. We are no strangers to semi truck and tractor towing, classes A, B & C RV towing, cube van and delivery vans, tractor-trailers, bus and motor coach towing, UPS & FedEx trucks, semi truck accident and semi trailer towing, and 18 wheeler towing. In addition to these vehicles, we also perform complex recoveries, lifting, pull starts, decking and undecking. If you Google, ‘tow truck near me’, Spring Towing & Recovery will be one of the first five wrecker services to populate. We offer comprehensive emergency towing services. It is not uncommon for our team to work 12 hour days during hurricane season. It is during this time that our winch out services reigns supreme. We also perform a lot of jumpstarts as customers with pick up trucks decide to try their luck by driving though flooded waters that inevitably short the battery. Many people believe that heavy duty towing is restricted to servicing super sized vehicles. 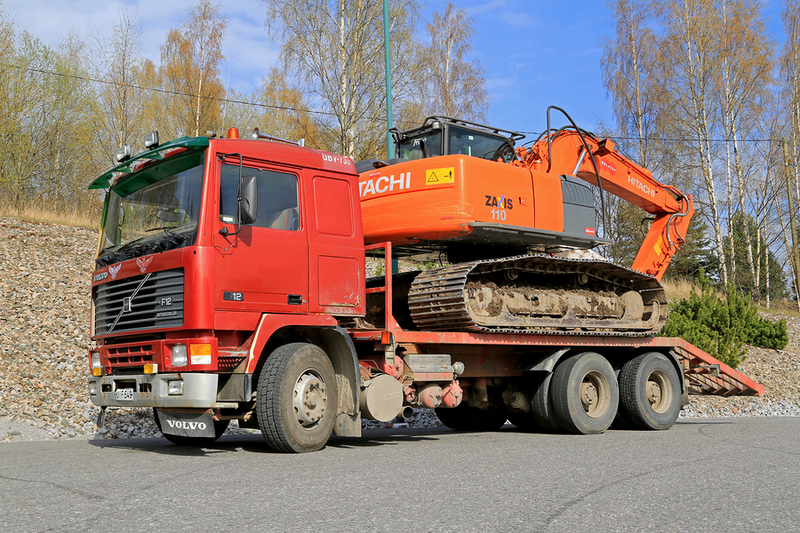 Spring Towing & Recovery also provides distinct services for heavy duty equipment. Our tow operators are versed in generator pick ups and deliveries, semi truck pull starts, replacement truck deliveries, heavy duty billing, bunking and unbunking, decking and undecking, construction site extractions, heavy duty mud recoveries, heavy equipment hauling, HAZMAT cleanup and disposal and semi truck accident cleanup. This basic technology is genius at rescuing vehicles from floods, mud and quicksand. Well, we have to admit that we haven’t had the opportunity to rescue anyone from quicksand, but if and when we do, you can rest assured that our tow operators are ready. Winch out systems allow us to rescue any vehicle safely. No one will dislodge a disc or have a tire roll over their foot when winch outs are safely employed. If you are seeking a tow truck in Spring, TX, you have come to the right place. Don’t waste valuable time lamenting your situation. Contact Spring Towing & Recovery right away. We are lauded on the Internet for our 24 hour roadside assistance. Our team is beyond competent in flat tire changes, vehicle lockouts, fuel deliveries and jumpstarts. You will be amazed at our prompt arrival times and how fast we work. The number one reason for collisions in the state of Texas are unsafe lane changes. The driving manual states that before you change lanes you are to look out your side view and rear view mirrors plus put on your blinkers to alert surrounding cars. These are collisions that can be avoided. Heaven forbid that you find yourself in a car accident. If you do, don’t hesitate to call Spring Towing & Recovery. A dispatcher is guaranteed to arrive within 45 minutes.